It doesn’t matter how many years you have behind the wheel, at one stage in life you will hear that regrettable “clunk” and get out to see a dent in the side of your car. At times, it might be something you can ignore. However, the perfectionists out there will be heading straight to the garage, in a bid to reverse the day’s misfortune. If you’re more of a DIY person, it’s time to read on. Sure, if you’re involved in anything above a minor incident, some of the steps below might not be completely successful. For anything else, they can be a Godsend though, and make your vehicle look almost as good as new. 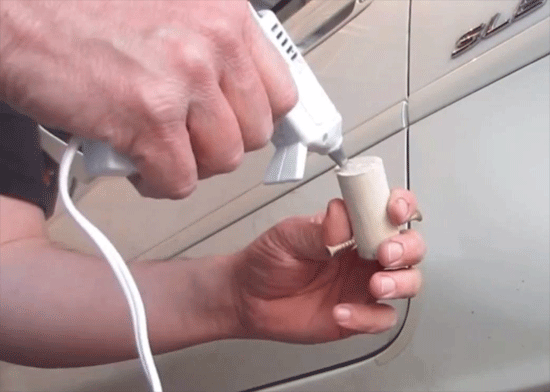 Here are the best ways to remove a dent from your car. 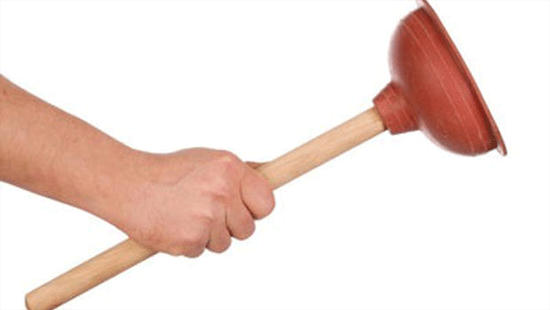 Most of us have a plunger locked away somewhere, although it’s generally reserved for unblocking drains. Well, as the title may have given away, it’s also possible to use a plunger to help get small (or even medium-sized) dents out of your car. 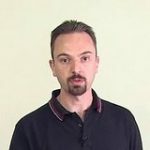 Additionally, in comparison to some of the methods that the professionals use, this happens to be one of the simplest techniques out there. Before we get into the meat of this method, there is a word of caution. For the purposes of this task you will need a cup plunger (which is generally used to unblock sinks). This is in contrast to the other type of plunger that you might have in your house, one of the flange variety, which is used for unblocking toilets. To start with, put some water on both the plunger and the dent in your car, before putting it onto the vehicle. Use the plunger like you would in any normal circumstances; firstly, apply pressure so that it sticks to the metal, before then pulling in a bid to pull out the dent. If the method above hasn’t been completely successful, it might be time to use a few more instruments. This time, you’ll need to arm yourself with hotel glue, wooden dowels and some nails. On first glance, there’s no doubt that this technique is much more complicated and therefore time-consuming. However, the beauty of it is that it’s much less likely to cause damage to your car – which can be a risk when an amateur is looking to remove a dent. To carry out this approach, take your nails and put them through each dowel. Next, take the hot glue and put this on the bottom of the dowel, so it can be stuck to the area of the car which has been subjected to the dent. You’ll then have to wait a while before all of the glue has dried. Once it has dried, it’s time to pull them out. The nails will help you with this and if you have placed them in strategic positions, the dent will come out easier than you think. Something that you may notice about several of our suggestions is the fact that they rely on standard household items. This is the case with our third method, where you will need to arm yourself with a hair dryer and some compressed hair. 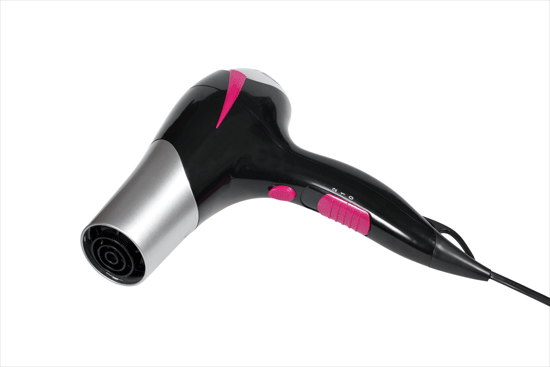 The aim is to apply heat to the dent with the hair dryer. If you happen to have a modern appliance, it should go without saying that you’ll need to use it at its highest setting to take full advantage of this and therefore expand the car’s plastic. Once you are happy with the heat the plastic has risen to, take your compressed air can and turn it upside down. 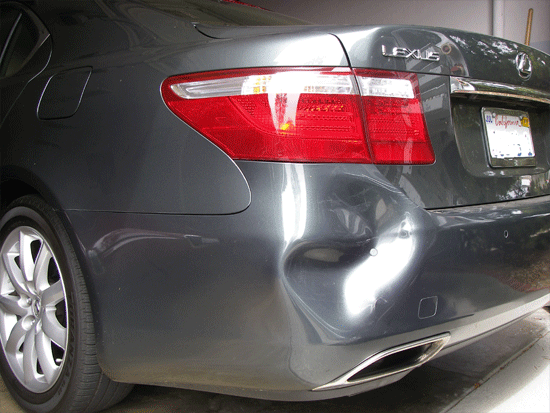 Spray the area, before crossing your fingers and hoping that your dent pops out. The science behind this is simple; at first the dent will expand the plastic, before the cold air will then cause it to quickly contract. This is probably one of the more logical methods that we’ll talk about and in actual fact, some of you may have already tried your luck with it before. In simple terms, you are just heating the plastic so that it becomes easier to manipulate. If your dent happens to be on the bumper, this approach will involve pouring hot water on the bumper before quickly reaching behind it and attempting to push the dent back out. If you attempted this without the heat it goes without saying that it would be nigh-on-impossible, but the presence of the water makes it a little easier. 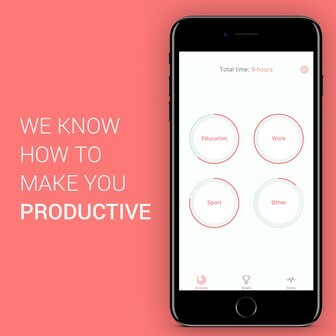 Unfortunately, this is one method where you have to work quickly. 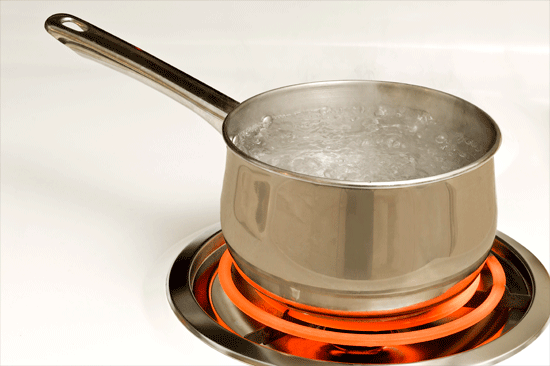 Hot water doesn’t stay hot for long, at least when in contact with a bumper, so get ready to perform this job at record pace. 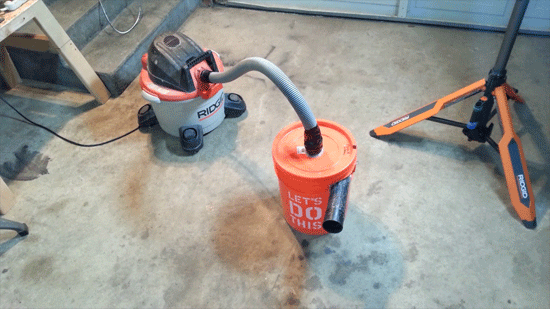 We’ll conclude this guide with one of the more interesting methods; the DIY vacuum. As you have seen with most of the tips we have mulled over, the majority involve some sort of suction. The larger your dent, the more suction that is required, so naturally this approach might be better if your dent is creeping towards the bigger side. The best way to create this suction is with your vacuum cleaner. You’ll also need a bucket and some tape, so make sure these are at the ready as well. Using your tool of choice, create a hole in the bottom of the bucket which will be suitable for your vacuum cleaner hose to fit through. Once this is in place, take the tape and attach the bucket around the dent. Finally, it’s time to turn your vacuum on. It’s at this stage that you cross your fingers and hope that your new contraption has sufficient suction power to pull out the dent and make your vehicle as good as new again. Unfortunately, if you have a shallow dent, this method might not work.